In recent times, several online mattress companies have emerged to bring high-quality mattresses to consumers at affordable prices. In the past, sleepers wanting to buy non-traditional mattresses would typically have to pay top dollar. Some premium mattresses may cost customers up to $10,000. With advancements in technology, and increases in online commerce, you no longer have to fork out such large amounts of money for a mattress. Puffy is one of the newest entrants to this market. Puffy began selling their mattresses in 2017 and have quickly gained a large client base across the country. 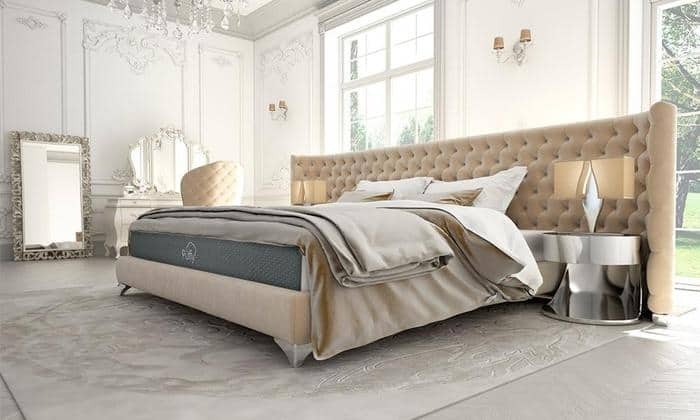 They use memory foam to create a luxurious sleeping experience. One of their primary benefits is their great price tag – it’s one of the cheapest memory foam mattresses on the market. 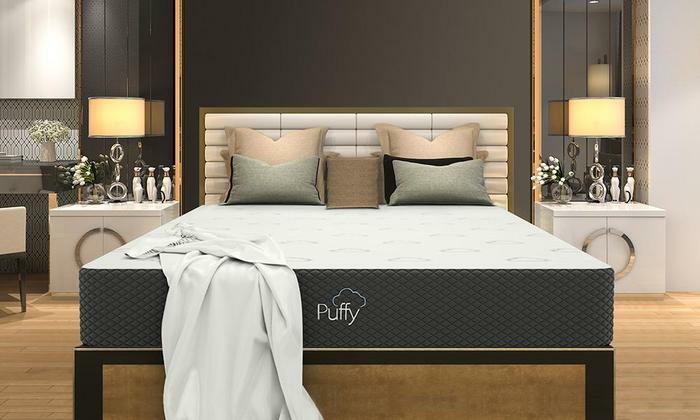 Puffy is the company that produces the mattress – it must be noted that they produce a few different mattresses now, but we’re focusing on their standard option for this review. In this article, we’re going to take a more in-depth look at Puffy Mattress to help you decide if it’s the perfect mattress for you. It’s important that you consider all of the factors mentioned in this article before you make a decision on a mattress – you should always consider you and your partner’s sleeping preferences when deciding on a new mattress. Read on! Should I Buy the Puffy Mattress? Puffy tries to keep things basic – their aim has been to provide a mattress that saves costs for consumers. If you’re looking for a mattress that is comfortable and simple, this might be one of the best options. The Puffy mattress is made from two different layers – they are stacked directly on top of one another. The layers are then covered by the primary cover. Each layer of the mattress is made from a specially designed foam. The foam is also designed to reduce its impact on the environment and the sleeper. Many mattresses shed chemicals and smells that can be harmful to those who use it. If you’re looking for a foam material that is less harmful, the Puffy mattress is a solid choice. The different components of the mattress will be explored in further detail below! As mentioned previously, there are two primary layers on each Puffy mattress. We will take a look at what they’re comprised of below. Top Layer – The top layer of the Puffy mattress is made from a 4” cloud foam. This is the layer of the mattress that provides comfort to the sleep. This gel-infused memory foam allows for a reduction in pressure points and a pleasurable sleeping experience. If you’re someone who has been interested in memory foam mattresses, this is the part of the Puffy mattress that you’ll enjoy. Bottom Layer – The bottom layer is the support layer of the mattress – it provides the base for the cloud layer. Without this layer, you would sink through the entire mattress. This layer of the mattress is 6” thick. It’s made from high-density poly-foam that provides plenty of added support for the rest of the mattress. While the layers and construction of the mattress are typically the most important contributing factors to any purchasing decision, the cover is also very important. People often forget how much a cover can influence the feel and functionality of the mattress. Remember – the cover is the closest thing to your body when you’re sleeping on a mattress. At this time, Puffy keeps quiet about the exact materials used to manufacture the mattress. If you feel you might be allergic to some synthetic materials, it might be worth contacting them to see if there will be any issues. In terms of comfort, the Puffy mattress cover does well. It’s not too thick so it doesn’t distort the feeling of the memory foam in the top layer. On top of this, it breathes quite well – you won’t have to worry about too much heat retention. This is a great mattress cover for those who are looking to avoid overheating while they sleep. Often, mattress producers use covers that add comfort but also retain heat – this isn’t the case with Puffy Mattress. At the end of the day, the most important thing about any mattress is how it feels to sleep on. You want to be certain you’ll be able to get a quality, comfortable sleep whenever you need some rest. While the Puffy does have some great memory foam and features, it’s still not a luxury standard compared to the rest of the market. This being said, it does provide plenty of comfort and it’s definitely a step above some of the other mattresses available online. If you’re looking to upgrade from a traditional spring mattress, you’ll find that the Puffy is a much better upgrade. 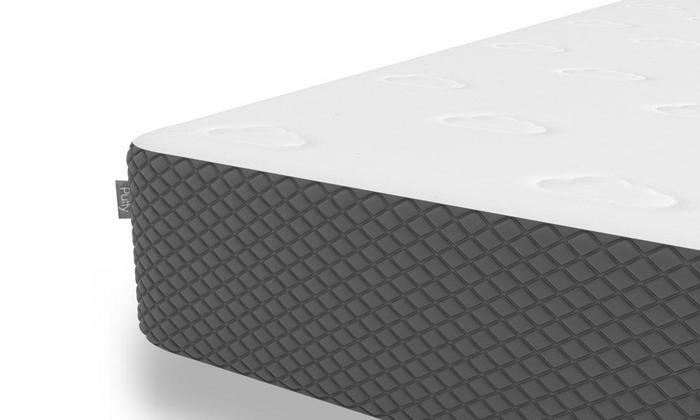 You’ll finally be able to sleep on a mattress that boasts solid foam comfort. Memory foam gives you the impression that you’re sleeping on a cloud, though it must be said that this is a much lower standard than a luxury memory foam mattress – such as Tempurpedic. Because the mattress is made from memory foam, you’ll find that it hugs your body a little bit. If you want contour around you when you’re sleeping, the Puffy mattress does a good job of this. In terms of firmness, this isn’t the best mattress. If you’re someone who is overweight, or has weight concentrated to a specific part of your body – this isn’t the mattress for you. We rate this message at around a 6/10. If you’re someone who needs a large amount of support, you won’t find it in the Puffy. This is because the top layer of memory foam is quite thick, which means the high-density foam at the bottom does not provide enough support for extremely heavy bodies. Overall this is an extremely comfortable mattress, but it definitely does not weigh up against the top mattresses on the market. In terms of smell, you will find that there is a chemical smell at first, but as mentioned previously, the mattress does not use some of the same level of chemicals as other mattresses. It also breathes fairly well for a mattress that is made from foam. Oftentimes, foam mattresses retain too much heat – which can be uncomfortable for those who overheat while they sleep. In this section of our reviews, we typically overview the different changes the mattress undergoes throughout its history. Unfortunately, Puffy mattress has only been around for a little over a year – the mattress is still in its first generation. Feel free to revisit this space in the future to see if there have been any updates to the Puffy mattress or any additions to their offerings. As mentioned previously, there is not a ton of support in the Puffy mattress. This being said, there isn’t too much sinkage if you’re not someone who is overweight. In fact, there will only be around two inches of sinkage for those of a normal weight. If you want something that hugs your body, without having too much depth, this is one of the best options at the price-point it’s on offer for. Again, if you’re someone who weighs more than the average person of your height, you might find that there is too much sinkage available on the mattress. We recommend this mattress for people who sleep on their back or on their stomach – you will be able to comfortably fit a pillow on your head without impacting your neck. One of the primary benefits of purchasing a Puffy mattress comes down to price. Puffy has aimed at providing affordable mattress solutions that don’t sacrifice comfort. If you’ve been on the lookout for a foam mattress that isn’t overly expensive, you’re in luck. The price of the Puffy mattress is truly the selling point of the brand. Puffy mattress prices vary depending on the size of the mattress you are purchasing. In the table below, we outline all the mattress sizes available along with their corresponding price. Enjoy! With the amount of mattress options available on the current market, it can be hard to differentiate brands from one another. If you want to make sure that you get the type of mattress you’re looking for, it’s important to assess the other aspects of the mattress that you might not think of at first. Mattress companies offer a range of additional features and options, which can make it much easier to decide which mattress is best for you. In this portion of the article, we’re going to take a look at the different features that you might feel put Puffy mattress above the pack. Make sure to assess which ones you value. One of the best features of the Puffy mattress is the lifetime warranty that comes included with the mattress. It’s industry practice to offer a 5-15-year warranty, but not many mattress producers actually provide a lifetime warranty. Puffy will replace your mattress immediately if there are any problems in the first ten years. After that, they will either fix your mattress if it has any problems, or replace it if the problem is too big. Either way, this is a great deal for people who want a lifetime guarantee for their mattress. Because a mattress is a long-term investment, we can’t stress how crucial this feature is. The only downside is that the company has only been around for about a year – if they end up shutting down your guarantee will be worthless. Like most mattress manufacturers, Puffy provides a trial period that means you can use the mattress for a certain period of time risk-free. You can return it if you’re not satisfied with the mattress. Many trial period are for around 30-days, but the Puffy mattress trial period is 101-nights – over three months to decide if the mattress is right for you. If you’re looking to try and work with manufacturers inside of the United States, you’ll be pleased to know that Puffy manufacturers their mattresses right here at home. Lastly, mattresses can be expensive to ship – that’s why it’s great that Puffy mattress offers free shipping with all of their mattresses. You will receive your mattress within 2-5 days. This is not a white-glove delivery service, it’s just a normal delivery. There’s a lot to think about before you decide to purchase the Puffy mattress. There are plenty of great features that the mattress offers. First of all, it’s one of the cheapest options on the market. Puffy has made a name for itself by being extremely affordable. If you’re someone who wants access to a foam mattress, but you don’t want to spend thousands of dollars, this is one of the most affordable solutions. In terms of comfort, the mattress is a big step up from your traditional foam mattress. The only downside is that it isn’t quite as nice as many luxury mattresses on the market. It’s also not a great mattress for someone who needs a lot of support – those who weigh over 220 lbs. will probably need to look elsewhere for a mattress. Either way, the long trial period available means that there is no harm in trying the Puffy mattress — you don’t have to worry about being stuck with your purchase. Three months is plenty of time to decide if you want to keep or return the product. In addition, the lifetime warranty is extremely good – you don’t find this with many other mattress producers. So far, Puffy seems to be a great company to work with. Either way, it’s only been around for a bit over a year, so you need to be careful about researching them thoroughly. If you want to look at other mattresses, make sure to check out some of the various reviews on our site!